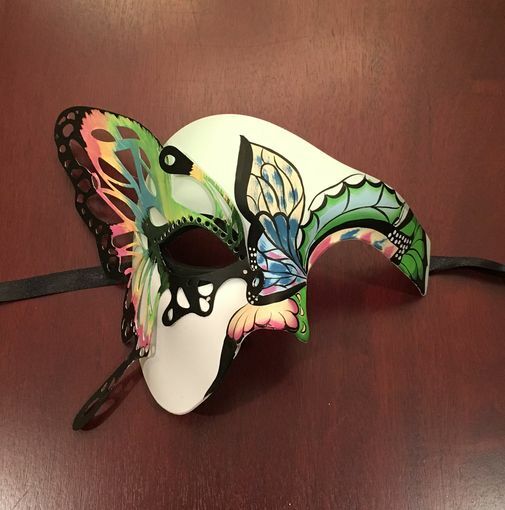 Epria Butterfly mask is hand made and painted. Mask is made of metal and non bendable PVC. Mask comes with black ribbon ties.